What does fine dining mean to you? For me, fine dining is not about indecipherable menus, pretentious waiters or which fork to use first. Fine dining is about familiar food prepared and presented in a surprising way. It’s about a relaxing atmosphere and friendly, yet unobtrusive service. Fine dining is an overall experience that lingers in your mind and beckons you back for more. 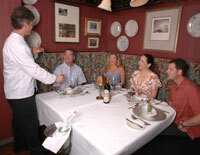 If you’re looking for a fine dining experience on Hilton Head Island, set your GPS for 140 Lighthouse Rd. and head to CQ’s restaurant in Harbour Town. (If you have to pay the $5 entry fee at the Sea Pines gate, the restaurant will gladly deduct it from your dinner bill.) Prepare yourself. You are about to experience the best food on the island—quite possibly the best on the planet—thanks to Chef Eric Sayers. Sayers began his culinary career as a teenager, working as a busboy until his curiosity led him to the kitchen. His natural knack for cooking quickly recognized, he worked for a year with a European chef—“a big, fiery Austrian dude with huge hands and flaming red hair”—before enrolling in the Culinary Institute of America (CIA). Graduating with honors in 1991, he went on to study under Swiss-trained chef, Rolf Epprecht, who, according to Sayers, taught him respect and passion for food. In addition to exquisite food and exceptional service, CQ’s offers one of the most unique and charming dining venues on the island. The building itself, designed in 1971 by artist, Ralph Ballantine, for his own studio, was the first to grace the Harbour Town landscape. Nestled amidst the giant, moss draped oaks, CQ’s has the feeling of a cozy, comfortable inn. Filled with history and memorabilia, the restaurant is divided into distinct rooms to allow for a variety of dining experiences. “We’ve got so many little nooks and crannies. You can have an intimate party for six in the big booth downstairs or a party of 10 in a private room upstairs,” said Gresenz. The restaurant is an elegant setting for wedding receptions, corporate entertaining, special occasions or just a quiet dinner for two. It’s a place to make an impression. According to Gresenz, CQ’s is redefining fine dining to fill a special niche in Lowcountry hospitality. “It’s fine dining with a casual flair. We don’t want to be stuffy, but we do want to be a top-notch restaurant,” he said. No jackets or ties are required. Families are welcome, and separate menus are provided for both children and young adults. The chef also creatively accommodates dietary restrictions and special requests. Read more about CQ’s and get a sneak peek at the menu at www.cqsrestaurant.com. Current hours of operation are 5-9:30 p.m. Hours are adjusted seasonally, but the restaurant is open 7 days a week, 365 days of the year. Make your reservations today, and be sure to ask about upcoming holiday events. Call 843-671-2779. According to renowned architect/restaurant designer, David Rockwell, “A restaurant should be like a little one- or two-hour mini-vacation.” On a recent Friday evening, I had the privilege of “vacationing” at CQ’s restaurant. I’ll admit that the 10-minute trek to Harbour Town was a bit of a stretch for me as I usually limit my culinary territory to restaurants within five to seven minutes of my home. But the experience was well-worth the effort. Entering the restaurant felt a bit like coming home, only without any housework or laundry to do. The cozy décor granted permission to take a much-needed deep breath. Seated in the main dining room, my white napkin was immediately exchanged for a black one to prevent the possibility of lint on my black dress. As I began perusing the menu, my husband studied the extensive wine list, and our vacation officially began. Scanning the walls, I took a trip back in time, remembering the Hilton Head Island of days gone by. But I quickly returned to the moment when Chef Eric brought out the tastiest little appetizer my tongue ever touched: venison meatloaf and brie, sandwiched on buttery, grilled brioche. I could have made a meal of it, but that was only the first of the temptations. Next came a basket of bread, served with divine, flavored butters, presented on a stone slab. Savoring the subtle bursts of flavor, I moved on to my first course. I opted for soup—the chef’s inspiration—which was velvety tomato, topped with a boursin mousse. I always think of tomato soup as comfort food. This was the luxury version, more like “died and gone to heaven” food. I’m a big fan of tuna, so when I discovered that one of Chef Eric’s signature dishes is the Ahi tuna on edamamme hummus, I went for it. This was quite possibly the best entrée I have had in the past quarter century—a harmony of flavors, colors and textures you have to experience. My husband enjoyed the swordfish, which was equally beautiful and delicious. And I must say that every plate that went by looked like a culinary masterpiece. We finished our evening by sharing one of my all-time favorite desserts: classically prepared crème brûlée. Does it get any better than this? I don’t think so. Hold my calls; I’m on vacation. See you at CQ’s. With such a rich history, there is no better atmosphere on the island in which to celebrate the holidays than at CQ’s Restaurant in Harbour Town. 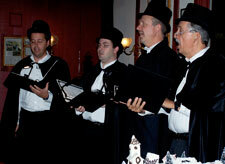 You won’t want to miss the Victorian Christmas Dinner, Tuesday, December 4. Starting at 6:30 p.m., the evening begins with a champagne and hors d’oeuvres reception, followed by a four-course wine dinner at 7 p.m. For only $65 per person, you can enjoy an evening of Christmas caroling, exquisite cuisine and an ambiance of holiday cheer at the oldest building in Harbour Town, culminating with the lighting of the 16-foot Christmas tree and the unveiling of the Sugar Village. 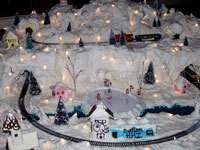 The Sugar Village is a masterpiece in itself, made from 187 pounds of sugar, 36 egg whites, 5 cups of gelatin, 1-½ pounds of semi-sweet chocolate and royal icing for glue and snow accents. These individual ingredients are enough to make 195 cakes, 112 lemon meringue pies, 140 Jell-o shots and a severe stomachache, respectively. In addition to all this, you can also celebrate the spirit of giving with Toys for Tots by bringing a new, unwrapped children’s toy for under the tree. CQ’s will be collecting toys until the first week of Christmas. She is a Hilton Head Island headliner and as talented as ever. You can find the renowned pianist and singer, Cheryl Christine, at CQ’s Restaurant Sunday-Thursday, from 6:30 to 10:30 p.m. Many know her from her previously owned Cheryl’s LeCaberet Piano Bar (1991-2001) and her co-owned Casablanca Piano Bar (1986-1991). Now fans are flocking to CQ’s to sip martinis and listen to her sultry voice along with the music of the baby grand piano as it fills the oldest building in Harbour Town with more character than the history that precedes it. Christine, who is giving the Legend of the Blue Lady a run for her money, has a history of her own that has brought her much respect in the entertainment industry. In 1989, Christine took first place and won the Judges Award for best overall performance at the Hilton Head Grammy Awards. That same year, she signed a recording contract with Comstock Records, internationally releasing a compilation of original compositions recorded at Chelsea Studio in Nashville. 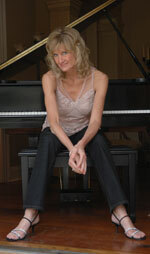 By 1997, Christine had recorded three albums, including two Christmas CDS. In addition, she won songwriting contests and became a regular musical guest and co-host of WJWJ television station of Beaufort, South Carolina. If all this recognition isn’t reason enough to go and experience Cheryl Christine, you might want your pets to hear her sing. Lowcountry dogs and cats are also tuning into this creative artist through her best selling albums, Mood Music for Dogs and Dog Lovers and Mood Music for Cats and Cat Lovers, featuring songs such as It’s My Couch Now and Tuna Sonata. With the talent to charm man and beast, Cheryl Christine should not be missed. For more information, visit www.cherylchristine.com. And be sure to catch her performances at CQ’s. 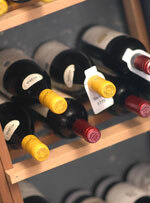 Drop in for a drink or stay for dinner. Call 671-2779 for reservations.